We take reasonable efforts to ensure that information on this site is complete, accurate and current. Despite such efforts, however, the information on this site may be inaccurate, incomplete or out of date. Item Type: Vacuum Cleaner Paper Dust Bag. Fits for vacuum cleaner models:RO1121, RO1122, RO1124, RO1132, RO1136, RO1321, RO1336, RO1131, RO1114. 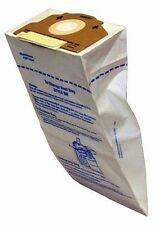 1 X Vacuum Cleaner Paper Dust Bag. 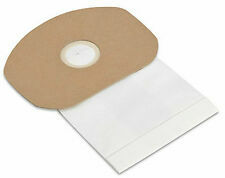 It is the standard disposable paper dust bag. WORKSHOP Wet Dry Vacs Crevice Tool Accessory Shop Vacuum 1-1/4" 1-7/8" 2-1/2"
S2, S5 ,S8. Complete C2. Complete C3. 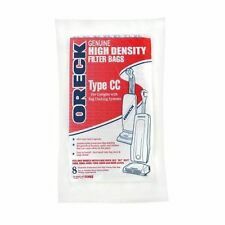 Type: Vacuum cleaner bags. 12 x Dust bags. USA, Canada, United Kingdom, Austrilia, France, Germany, Spain, Ireland, Italy, Others. Canada, United Kingdom, Austrilia, France, Germany, Spain, Ireland, Italy, Others. WORKSHOP Wet Dry Vacs Floor Nozzle Accessory Shop Vacuum 1-1/4" 1-7/8" 2-1/2"
Miele FJM Type Vacuum Cleaner 4 x Dust Bags & 2 x Filters 99.9% filtration - excellent filtration for cleaner air. Miele Bags. Miele Spares. Fits the following models Complete C1 (S700 – S799) Compact C2 (S6000 – S6999) Compact C1 (S4000 – S4999) Miele Hybrid S500 – S558 S300i – S256i. 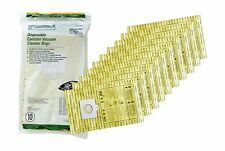 GN Type Vacuum Hoover Hyclean Dust Bags 2 Filters For Miele Cat & Dog (1 Box). 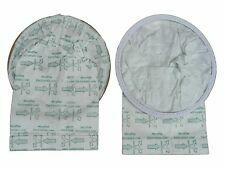 BNIB 4 x GN Type Vacuum Hoover Hyclean Dust Bags 2 Filters For Miele Cat & Dog. Miele Bags. Miele Spares. 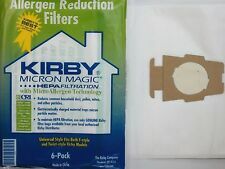 Kirby Bags. Alternative to Part# AH10000. 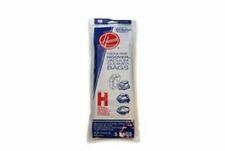 Fits Hoover Platinum UH30010COM Upright Vacuum Cleaners and ALL other Hoover models that take a Hoover Type Q Vacuum Bag. WORKSHOP Wet Dry Vacs Extension Wand Accessory Shop Vacuum 1-1/4" 1-7/8" 2-1/2"
WORKSHOP Wet Dry Vacs Utility Nozzle Accessory Shop Vacuum 1-1/4" 1-7/8" 2-1/2"
Organic fragrance and fresh aroma. Quantity: 1 set(5pcs). 5 pcs x Fragrance Sticks(other accessories demo in the picture is not included.). Due to the difference between different monitors, the picture may not reflect the actual color of the item. 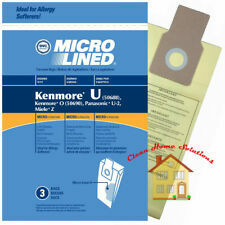 Each disposable filter bag in this 3-pack easily collects everyday messes and makes disposal more convenient. Fits: Most wet dry vacs including most Shop-Vac®, VacMaster® and Genie® vacuums. Crevice Tool gets into tight places. 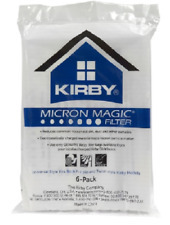 1-7/8" diameter is designed for a great blend of maneuverability and airflow. 1-7/8" diameter is designed for a great blend of maneuverability and airflow. 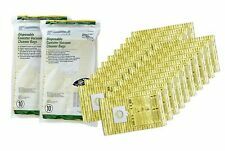 Electrolux Upright Single Wall 4-Ply Vacuum Cleaner Bags Style U, 12 pk. WORKSHOP® carries the Multi-Fit® brand wet dry vac filters and accessories for the convenience of our customers and partners. Multi-Fit® products are specifcally designed to fit other vac products such as Shop-Vac®, Genie®, and others. Fit for Panasonic C-13、MC-CA291、MC-CA293、MC-CA391、MC-CA393、MC-CA591、MC-CA593、MC-3300、MC-3310、MC-3920、MC-3300R、MC-3300G、MC-E3300、MC-CG321、MC-CG301、MC-CG321RJ81、MC-CG323RJ81、AMC-S5CP. 5 Paper bags. Color: As Pictures Show. 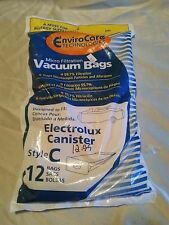 VINTAGE ELECTROLUX Vacuum Bags SEALED PACKAGE KIT !!! !